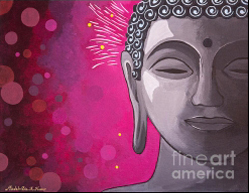 As we incorporate the Buddha’s teachings into our lives many wonderful changes will start to happen: from experiencing greater calmness and peace in our mind, to feeling a greater connection and love for other beings. But not all changes bring such a smooth transition. For instance, when we adopt Buddhist values of refraining from alcohol, or we find ourselves losing interest in other mundane activities, this can put a strain on certain social interactions. This video is in response to some questions I received about how to navigate these kinds of challenges.